The day was filled with awesome speakers, food, fun, laughter, raffles and fitness! 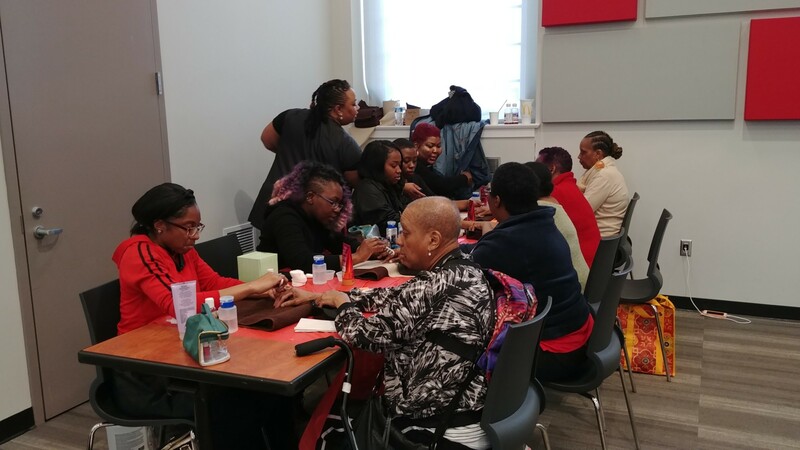 Present were a host of powerful women speakers such as: Sandy Allen, a former Ward 8 DC Council Member, and Brionne Williams, Bread’s NW Nurse Practitioner. 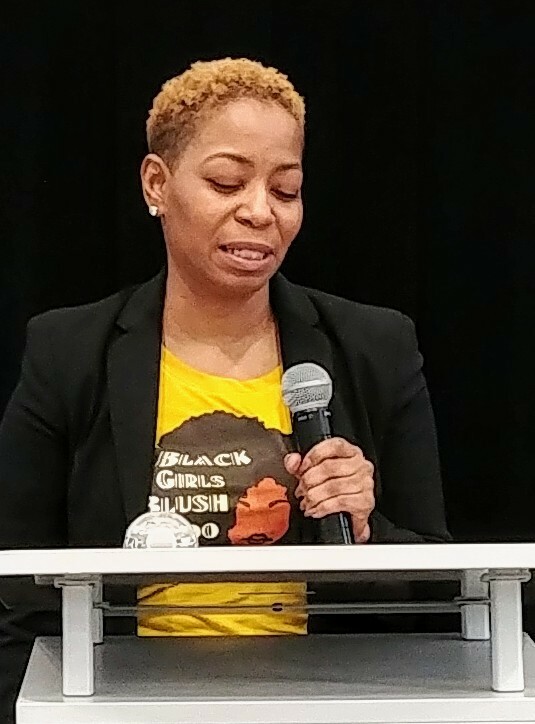 Our keynote speaker was Karla Gant, CEO of “Black Girls Blush Too.” Additionally, we were given information on smoking cessation by Karen Granton a Program Manager from “Breathe DC. 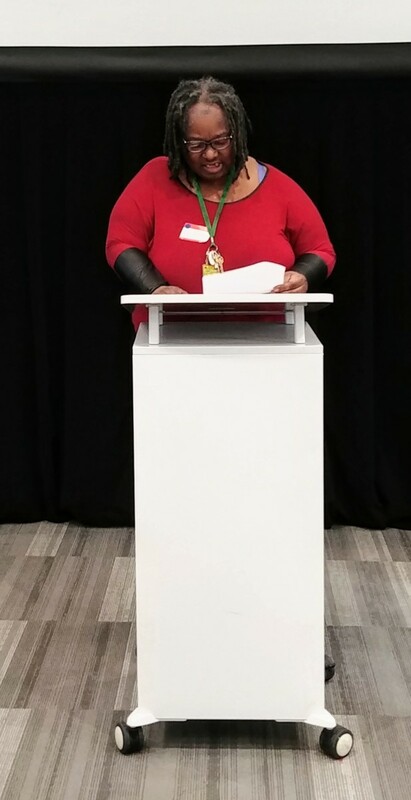 Ms. Shanita Drakeford, CEO of IT Factor Boutique, LLC was the day’s final speaker. The participants were provided a light continental breakfast as they signed in for the event. 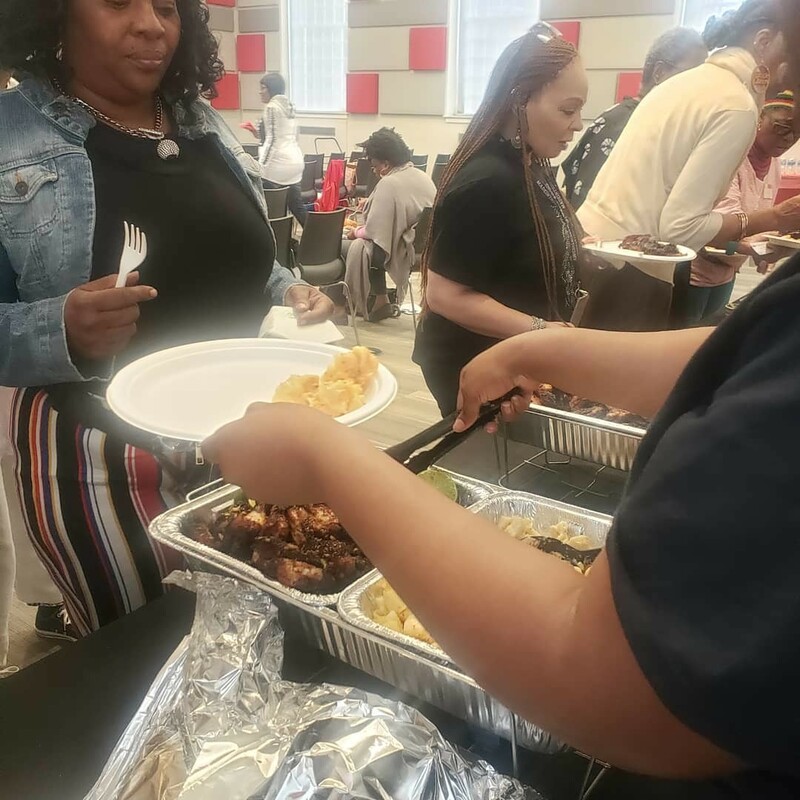 At lunch, the participants were treated to a delicious meal graciously donated by the Farmers and Distillers restaurant. Included in the festivities was a Go-Go Fitness Workout by instructor/Owner Dani Tucker, a Zumba Fitness Workout with Fitness Instructor Sara Afayee of BoldBeats, and Pampering Sessions with three options; 1. Massages by Caressence Massage Therapists, and 2. Nails by Hair Academy and 3. Makeup by Hair Academy. 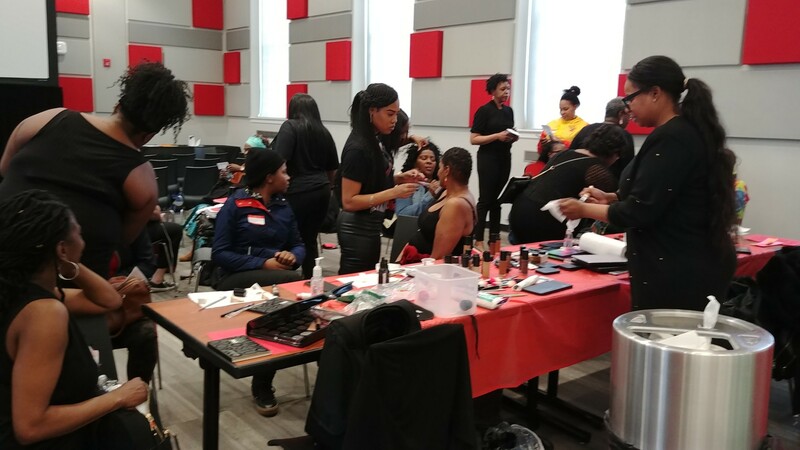 The Women’s Empowered Program went allllll the way out to ensure the Women were accommodated with the necessities for “Living their best Life.” At the conclusion of the day, the women were each given gift bags including an assortment of items to help “empower” them as their journey continues. I enjoyed watching the women interact with one another outside of the norm. One of the most important parts of the day was watching the women’s faces that displayed gratitude and appreciation! As a Social Work intern, I was grateful for the opportunity to assist in this wonderful event!